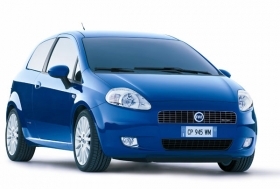 Strong Punto sales helped Fiat group and Fiat brand each boost Europe sales by 6%. MUNICH -- Thanks to scrapping incentives, five out of Europe's six biggest automaking groups finished 2009 on a high. Volkswagen AG, PSA/Peugeot-Citroen SA, Ford Motor Co., Renault SA and Fiat S.p.A. either had flat sales or made a single-digit percentage gain last year compared with 2008, according to new-car registrations data from European automakers association ACEA. Meanwhile, France was Europe's sales leader in December with a volume of 228,392 registrations. The 49 percent increase is attributed to car buyers in France taking advantage the government's 1,000-euro incentive before the subsidy was reduced to 700 euros on Jan. 1.